One of his strongest performances on video…. Thanks Leggy for explaining the story behind the on stage comment. When I hear that from now On I’ll be thinking of Cohen. This might be the most powerful live performance by Dylan ever–no small thing. In my opinion, superlatives fall short in describing it. 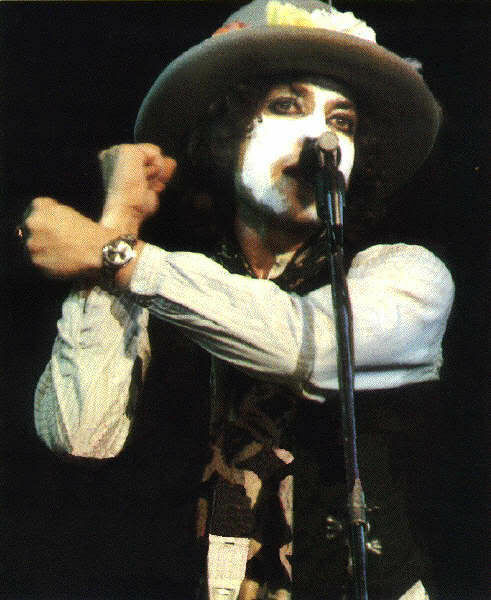 I love the way he would introduce it on the Rolling Thunder Revue tour with “This is a song about marriage–it’s called ‘Isis. '” Being married to the same woman for more than 26 years, I’m still plumbing this song’s (and performance’s) depths. As an aside, there’s a section of Ratso Sloman’s “On the Road with Bob Dylan” where Dylan goes to visit Leonard Cohen prior to the concert at his rundown place in Old Montreal, and asks him to come to the show. Funny stuff – “This is for Leonard, if he’s still here”. This is jaw droppingly good!!! after bob,everything else is small!! huge thanks for posting this!